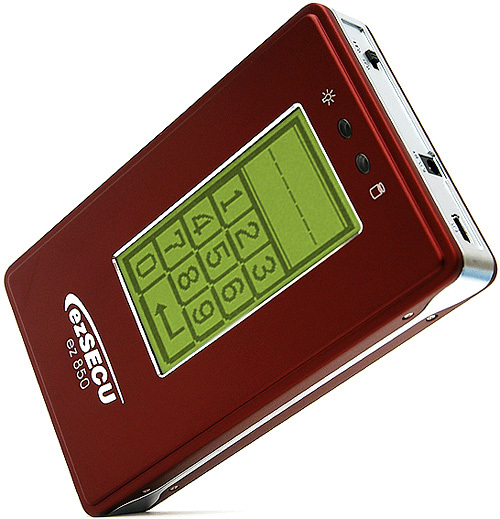 ezSECU External Hard Drive Case With Touchscreen | OhGizmo! Instead of relying on a finger print reader to secure your data, which will work whether you’re conscious or not, this external drive enclosure actually has a touch screen that can be used to enter a secret PIN. The ezSECU ez850 from IOTEK only supports 2.5 inch SATA hard drives, but at least that means it’s small and easy to carry around. And hopefully it uses a rechargeable battery to power that touch screen, so you don’t need to carry the bulky power adapter around as well. The enclosure supports USB 2 and Windows 2000/XP/Vista and Mac OS 9.2+. This hard drive is pretty cool. It lets you secure your data completely. Even if someone else removes it from the enclosure, they can’t access your data without your password. It was only sold in Korea before, but it’s being sold here in the US as Data Locker at http://www.lockerdrive.com. I’m very happy with mine! Thanks!